Conference series LLC Ltd welcomes you to attend the "4th World Congress on Nursing Midwifery and Women's Health" which is going to be held on September27-28, 2019 at Virginia, the USA which includes prompt keynote presentations, Oral talks, Poster presentations, and Exhibitions. The purpose of this conference is to enhance nurses knowledge regarding advances in the care and treatment of individuals and populations with Nurses & Midwifery this is your best opportunity to reach the largest assemblage of participants from the Nursing community. Conduct presentations, distribute information, meet with current and potential scientists, make a splash with new ways of treatment & care, and receive name recognition at this 2-day event. World-renowned speakers, the most recent techniques, developments, and the newest updates in Nursing are hallmarks of this conference. Conference Series LLC Ltd extends its welcome to 4th World Congress on Nursing Midwifery and Women's Health during September 27-28, 2019 at Virginia, USA with a theme “Theme: Exploring The Importance of Nurses & Midwives” Conference Series LLC Ltd through its Open Access Initiative is committed to making genuine and reliable contributions to the scientific community. Nurse education places focus on the use of evidence from research in order to justify nursing meditation. In England and Wales, courts may decide if a nurse acted reasonably based upon whether their intervention was supported by research. 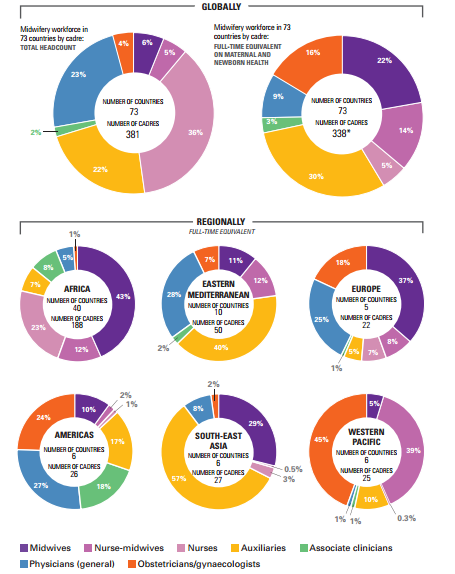 Most exposed populations in global health are women and children. Hence, making the Nurse Midwife and Family Nurse Practitioner program is logically fit for students interested. Programs teach advanced practices to midwives in order to better meet the need of the patients. The potential care specialties of an NP include Paediatric, geriatric, neonatal, acute and occupational health care. The main area of focus of neonatal nurse specialists is infants. They may care for healthy infants, but pay special attention to premature or ill new born, or work solely with ill new born in a serious condition in a neonatal intensive care unit. Psychiatric nurse practitioners are also known as a Mental Health Nurse Practitioner. Psychiatric Nurse Practitioners duty is the same as a psychiatrist, diagnosing, counseling and prescribing medications. Public health refers to "the science and art of preventing disease, prolonging life and promoting human health through organized efforts and informed choices of society, organizations, public and private, communities and individuals. “It is worried about threats to health based on population health analysis. The population in question can be as small as a few people, or as large as all the citizen of several continents. The dimensions of health can circumscribe "a state of complete physical, mental and social well-being and not merely the absence of disease or infirmity," as defined by the United Nations' World Health Organization. Public health combines the interdisciplinary approaches of epidemiology, biostatistics and health services. There are many different phases during surgery where the theater nurse need to support and assist the patient, surgeons, surgical technicians, nurse anesthetist, and nurse practitioners. Pre-operative, the nurse must assist to prepare the patient & operating room for the surgery. During the surgery, they help the anesthetist and surgeons when they need. The last phase is postoperative, ensuring that the patients are provided with suitable care and treatments. Critical care nursing focus on the extreme care of the critically ill or changeable patients following through injury, surgery or life threatening diseases. Critical care nurses can be found working in a broad variety of environments and specialties, such as general intensive care units, medical intensive care units, surgical intensive care units, trauma intensive care units, coronary care units, cardiothoracic intensive care units, burns unit, pediatric and some trauma center emergency departments. These specialists generally take care of critically ill patients who require mechanical ventilation by way of endotracheal intubation and/or treatable vasoactive intravenous medications. Cardiac nurse works with patients who suffer related to the cardiovascular system those nurses help to treat circumstances such as cardiomyopathy, coronary artery disease, congestive heart failure, myocardial infarction and cardiac dysrhythmia under the direction of a cardiologist. Cardiac nurses perform postoperative care in a surgical unit, stress test evaluations, cardiac monitoring, vascular monitoring, and health assessments. Cardiology nurses need Basic Life Support and Advanced Cardiac Life Support certification. In addition, cardiac nurses possess specialized skills including electrocardiogram monitoring, defibrillation, and medication administration by continuous intravenous drip. Nurses work in many different environments, including coronary care units (CCU), cardiac catheterization, intensive care units (ICU), operating theatres, cardiac rehabilitation centers, clinical research, cardiac surgery wards, cardiovascular intensive care units (CVICU), and cardiac medical wards. Nursing Midwifery 2019 provides the perfect platform for all the participants which are an interactive and engaging 2-day event: unique in format, content, networking, and engagement. The main theme of Nursing Midwifery 2019 is “Exploring The Importance of Nurses & Midwives". 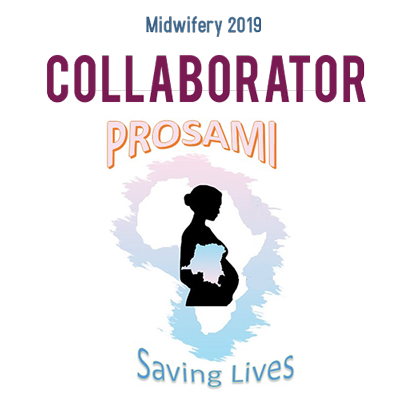 Since midwifery needs are essential for every woman in her life during childbirth and also after, the midwifery associations are growing worldwide. Bearing a child and giving birth is considered as a boon for every woman, in this process a lot of changes takes place in her body where she has to be aware of to maintain her health. Midwives play a crucial role in educating the women how to put up her health and baby’s health. They also help in making the delivery painless, stress less as far as possible. 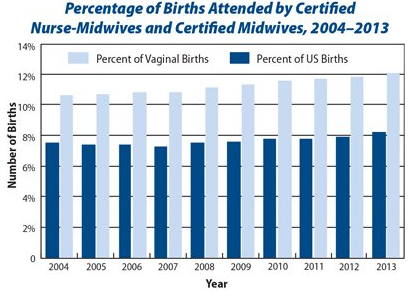 Midwives are the center of attraction in maternity health care. Selected contributions will be published in the Journal of Emergency Medicine for free of cost. Throughout the 21st century, the role of the nurse has evolved significantly. Nurses work in a variety of settings, including the hospital, the classroom, the community health department, the business sector, home health care, and the laboratory. Although each role carries different responsibilities, the primary goal of a professional nurse remains the same: to be the client's advocate and provide optimal care on the basis of evidence obtained through research. The midwife is recognized as a responsible and accountable professional who works in partnership with women to give the necessary support, care and advice during pregnancy, labor and the postpartum period, to conduct births on the midwife’s own responsibility and to provide care for the newborn and the infant. This care includes preventative measures, the promotion of normal birth, the detection of complications in mother and child, the accessing of medical care or other appropriate assistance and the carrying out of emergency measures. Midwives have an important role in health and wellness promotion and education for the woman, her family, and the community. Midwifery practice involves informing and preparing the woman and her family for pregnancy, birth, breastfeeding, and parenthood and includes certain aspects of women’s health, family planning, and infant well-being. A midwife may practice in any setting including the home, community, hospitals, clinics or health units. Thanks to all of our wonderful speakers, conference attendees and exhibitors of Nursing Midwifery 2018 Conference was our best ever! 3rd International Conference on Nursing & Midwifery hosted by the Conference Series LLC Ltd was held during May 23-24, 2018 at New York, USA with the theme “LEADING THE WAY: Nurses & Midwives for a Safe Healthy and Peaceful World”. Benevolent response and active participation were received from the Scientists, Doctors, Deans, Professors, Lecturers and Students from the fields of Nursing and Healthcare who made this event successful. Nursing Midwifery 2018 Conference would like to acknowledge Andrea Pusey Murray from Caribbean School of Nursing-University of Technology, Jamaica for her evaluation of the poster session and we are glad to congratulate Mary Xiaorong Chen, from Manchester Singapore Institite of Technology, Singapore vfor receiving the Best Poster Award of the conference.